Drake is the leader of the Orange Crew, designated as the Head Leader of the Orange Islands. Drake is generally a good guy, however he has not been seen outside of battle. 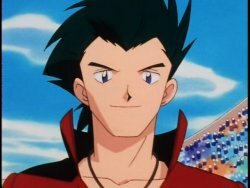 Being the undefeated champion, Drake has amassed a team of many powerful Pokémon and has become a man of legend on Pumello Island. Battles against Drake are basic 6 VS 6 Battles. However despite his lack of defeats, Drake is an incredibly gracious and calm loser. Drake is the leader of the Orange Crew and the previously undefeated champion of the Orange Islands. 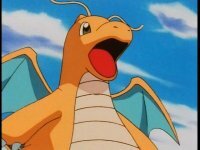 Dragonite is Drake's main Pokémon. Sometimes Drake lets Dragonite out for a flight around the island. 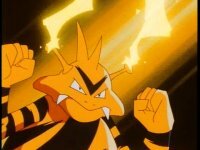 Dragonite however is an incredibly formidable Pokémon, able to easily take out many of it's opponents with it's powerful attacks. It managed to take out 3 of Ash's Pokémon before finally submitting. 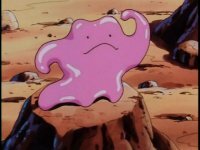 Ditto was the first Pokémon that Drake used in his battle against Ash. With it's Transform, Ditto was able to completely Mimic Pikachu and even have a power stronger than Pikachu attackwise. However Pikachu managed to defeat it after a tough battle. 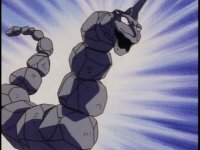 Drake's Onix, a rather large Onix has a variety of powerful attacks at its disposal. Using it's tail to smash the ground to defeat it's foes, it manages to move quickly and sometimes uses it's tail to crush opponents. However it has not been able to overcome it's Water weakness. 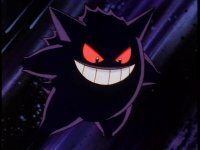 Gengar has a variety of Psychic and Ghost attacks at it's disposal including Hypnosis. Using these attacks it manages to incapacitate it's foes temporarily. However it was easily defeated in battle by an explosion in a combination of Lapras' and it's own attacks. 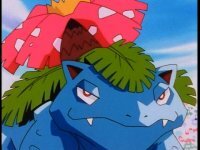 Venusaur is a powerful Pokéon of Drake's. With a powerful SolarBeam attack, it is able to stand up to many foes. However it's lack of speed became it's disadvantage when pitted up against Ash's Tauros. Electabuzz has a good number of Electric attacks at it's disposal, and using the m it managed to take out Ash's Bulbasaur with ease. However despite its powerful attacks, Charizard managed to take it out.